Before one can understand the matters presented on this website one who has been born in the flesh must choose to be born of the Spirit (See John 3). 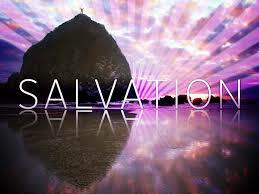 The born again person has been made alive spiritually (1 Corinthians 6.9-12; Ephesians 2.1-10; Colossians 2.13-17). Therefore, the most important thing is to be saved, born of the Spirit. Then, one can begin to understand the things of the Spirit of God. This page will tell the lost sinner how to be saved for the Glory of God. All anyone deserves is eternity in the lake of fire. Christ paid a price that no man can pay for the redemption of those who choose to repent (turn to God and from dead works) and put their faith in the Lord Jesus Christ for their eternal salvation. This page is for the believer. One who is a spiritual baby needs to begin to walk in the spirit and grow in knowledge, wisdom and understanding. If he does not, he will remain a spiritual baby; and, as such, will not be fruitful in the spiritual warfare of this world. For more on this, listen to the sermon “The First Principles Necessary for Growth” which is linked to at: The Pillar and Ground of the Truth. Dave Muralt was one of the greatest men of God I have ever known. God blessed me when Dave became my friend. Click here to hear his instruction, which includes singing, on evangelizing children. “I will sing a new song unto thee, Oh God.” It will bless you.